The last thing a Christian woman wants to be is unequally yoked. No… not an egg yolk, silly! Yoked… hooked together. Till death do you part can seem like a life sentence in San Quentin if you’re pulling the wagon with the wrong partner! I didn’t learn this until I was older, but now I know – as long as I keep my hand in God’s hand, He will set me on a joyous journey and my path will be straight. The first time I saw this quote, I literally cried – it’s so true. When I was younger and immature, I didn’t think about this at all. Back then, I can’t say my heart was hidden in God – so there’s the first problem, eh? How can a non-Christian man understand a Christian woman? He can’t. He may try, but all of his suggestions and solutions would be gleaned from the world, not from God’s Word. Prayer? He would not be a man of prayer. Where does his strength come from? If not from God, then from the Wall Street Journal, I guess. Most Christian couples pray together, so… that leaves you alone to pray – by yourself. Soon you would feel resentment at having to bear the spiritual burden alone. He could be of a similar mind to you in every other sense and still not make the cut. He could vote a straight political ticket, be a non-smoker, go to the gym three days a week, drive a car made in America (wait – are there any cars made in America anymore?) – anyway – unless he is a believer in Christ Jesus… nope – sorry – he would not be the man for a Christian woman. If two Christian people can just come together and look to the cross of Christ Jesus – together. Show devotion to Him – together. Praise Him – together. Seek His face and His grace in prayer – together. Then… they are equally yoked and the wagon’s pulled without one partner feeling strained or resentful toward the other. Christians are not perfect people… we embrace grace – God’s wonderful, amazing grace! It’s as simple as that. We need a life partner who wants that same thing in life. 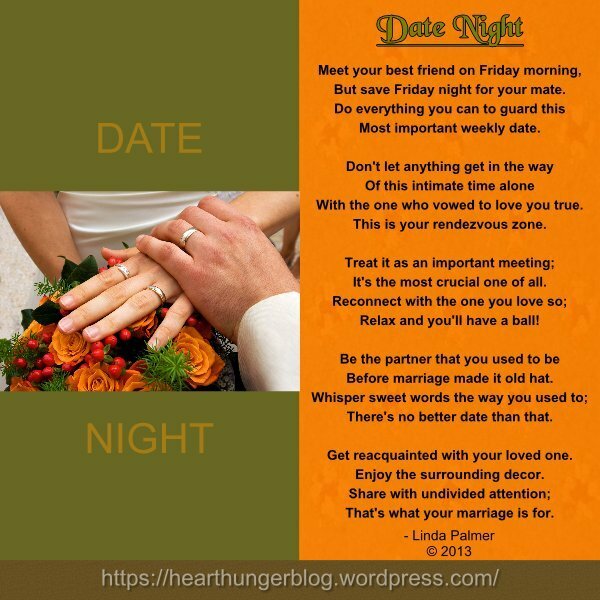 We wilt and die without it – marriages end when God is not invited in. This one verse in God’s Word, the Bible, speaks volumes. If this was the only verse a person committed to memory and held close to their heart, it would be enough. It tells the whole story – encompasses every key component necessary to obtain Salvation. Whoever believe in Christ… bow, let Christ know that you believe that He died on the cross for your sins and that you need Him every day of your life… and He will not let you perish but He will give you eternal life. It’s not what we deserve, but it’s how good our God is. We think we know what love is. A little over a month ago, we celebrated love on Valentine’s Day. Have you offered to die for your loved ones? Me neither. Have you willingly sacrificed your life for them? No – me neither. Christ died so that we could be saved from hell. He’s the only One worthy of all our praise. It’s an amazing miracle when two people meet and have this belief in common. They know what Christ did for them as individuals – but when the two combine their beliefs and allow Christ to be in the center of their love… that is really something special and it’s such a blessed union. The most wonderful gift a union like that can give is a faithful prayer life – Christian husbands and wives praying for one another. Help us to remember that verse in Ecclesiastes 4:12 – Though one may be overpowered, two can defend themselves. A cord of three strands is not quickly broken. When we’re tempted to worry or fret, we need Your strength and power in our midst. We are so human and You are so supernatural and give us such grace and mercy. Marriage is challenging at times, but we know that You are ready to direct our paths and put us on the right track. Thank You for Your goodness and for teaching us daily how to love through forgiveness and faith. Remind us that our cares should be cast on You. We find our joy in You, and always will. In Jesus’ Matchless Name, Amen. I’m not a Democrat, however I do wish Bill & Hillary Clinton a happy wedding anniversary! They have enjoyed wedded bliss for 40 years today! Bill & Hill tied the knot in Fayetteville, Arkansas on October 11, 1975. This blogger was 14 years old and in Jr. High School back then. Since they are so poor now (not only broke, but in debt since they left the White House), I’m not sure how they will celebrate… but I have an old Coleman pup tent they are welcome to borrow. They have to bring their own sleeping bags, blankets and lanterns. A campout would be fun – but I do recommend taking a few blankets because it’s a little nippy at night. I feel sorry for folks who graduate from Yale and become successful lawyers – then become career politicians… don’t you? It takes a special breed to stay in politics as long as these two have. I can’t imagine having every little thing in my life and especially my marriage put under a giant microscope for God and everyone to see. I hope it’s been worth it for them. That sure is not the life I would wish for myself – not for any amount of money. It’s amazing that they have stayed married – jus’ sayin’… so many lies and so much deceit. Do they know truth if it bites them? None of these things seem quite right for this special couple. What is the right gift for Bill & Hill… for their 40th wedding anniversary??? Wow – what should we get them? Let’s see… well – there are a few things on Amazon that look like good choices. How about pillow cases – one says Mr. Always Right and the other one says Mrs. Always Right – ??? 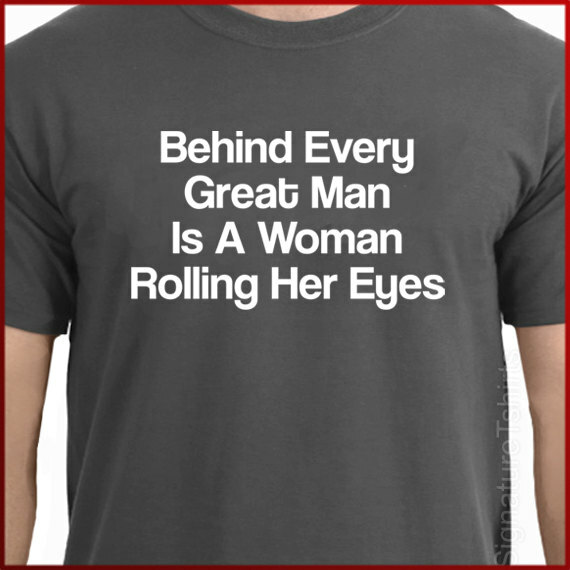 Oh wait… that’s the T-shirt I’m giving my husband next year. LOL! I’m kidding – I’m kidding. I do wish Bill & Hillary a lovely 40th wedding anniversary. I hope they get to spend it with friends and family. When we are planning a wedding, we often get wrapped up in the aesthetics and tend to ignore the substance. We want the perfect flowers, dresses and décor. It’s almost like we get to the point we’re so tired after all that planning, we say, “Vows? What vows?? 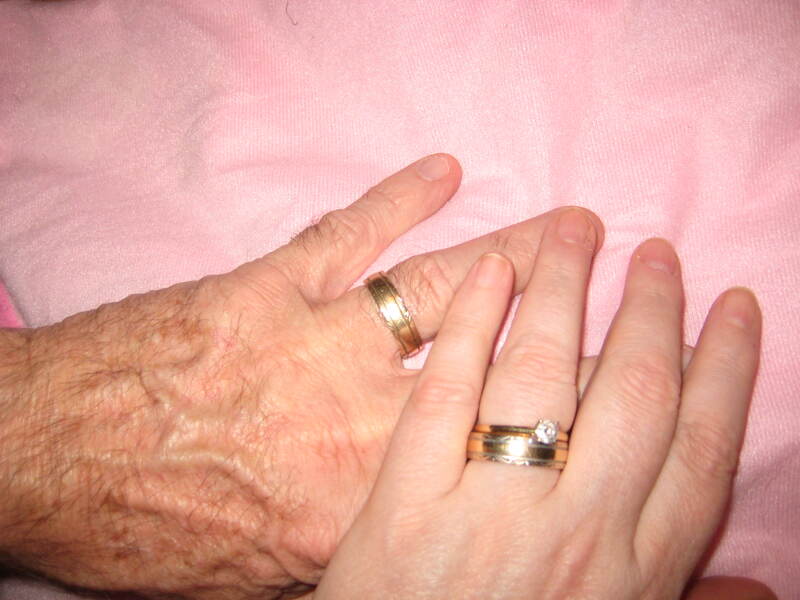 ?” But… there are vows – and they are meant to be kept for LIFE. Think about it – it’s a sobering thought, isn’t it? Yeah – it’s meant to be. What were those vows? Ah… now it’s coming back to me. Groom: I, Larry, take thee, Linda, to be my wedded Wife, to have and to hold from this day forward, for better for worse, for richer for poorer, in sickness and in health, to love and to cherish, till death us do part, according to God’s holy ordinance; and thereto I plight thee my troth. Bride: I, Linda, take thee, Larry, to be my wedded Husband, to have and to hold from this day forward, for better for worse, for richer for poorer, in sickness and in health, to love, cherish, and to obey, till death us do part, according to God’s holy ordinance; and thereto I give thee my troth. With this Ring I thee wed, with my body I thee worship, and with all my worldly goods I thee endow: In the name of the Father, and of the Son, and of the Holy Ghost. Amen. Love means, for better or worse, you are committed to caring for the heart of someone else. You are willing to die to yourself, to compromise, to share, to believe, to keep the promise even when it hurts.